I have finally prepared this dish before and I have only cooked this only once. I have only one reason why I don’t do this and that’s because of my other half. 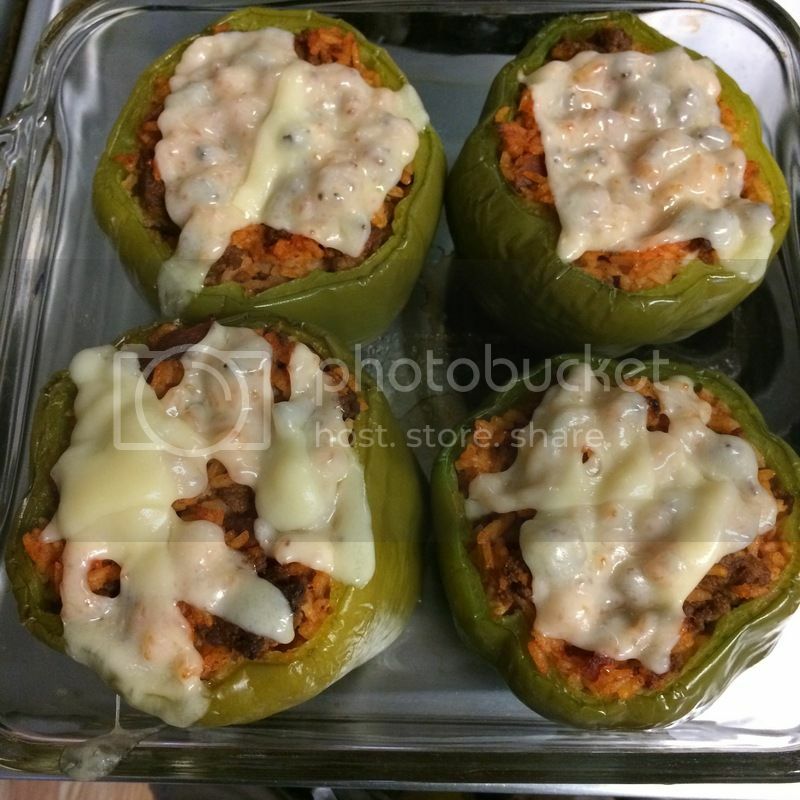 What’s wrong with Stuffed Pepper? Nothing, however, if you are one of those who doesn’t like the texture of Pepper, then this dish isn’t something for you. Still, I was curious and would like to prepare my own way, in spite of the fact that I have already modified the recipe I found online and removed as much as 80% ingredients on it just to prepare this meal. Looks tempting... don't you wish you have it right now? After an hour of the preparation and the cooking time. This is what comes out of the Oven. I was very proud of this dish, not bad at all for a first timer. And for that, I am happy because I don’t need to set up this dish again. 1) Cut thin slice from stem end of each bell pepper to remove top of pepper. Remove seeds and membranes; rinse peppers. If necessary, cut thin slice from bottom of each pepper so they stand up straight. In 4-quart Dutch oven, add enough water to cover peppers. Heat to boiling; add peppers. Cook about 2 minutes; drain. 2) In 10-inch skillet, cook beef and onion over medium heat 8 to 10 minutes, stirring occasionally, until beef is brown; drain. Stir in rice, salt, garlic and 1 cup of the tomato sauce; cook until hot. 3) Heat oven to 350°F. 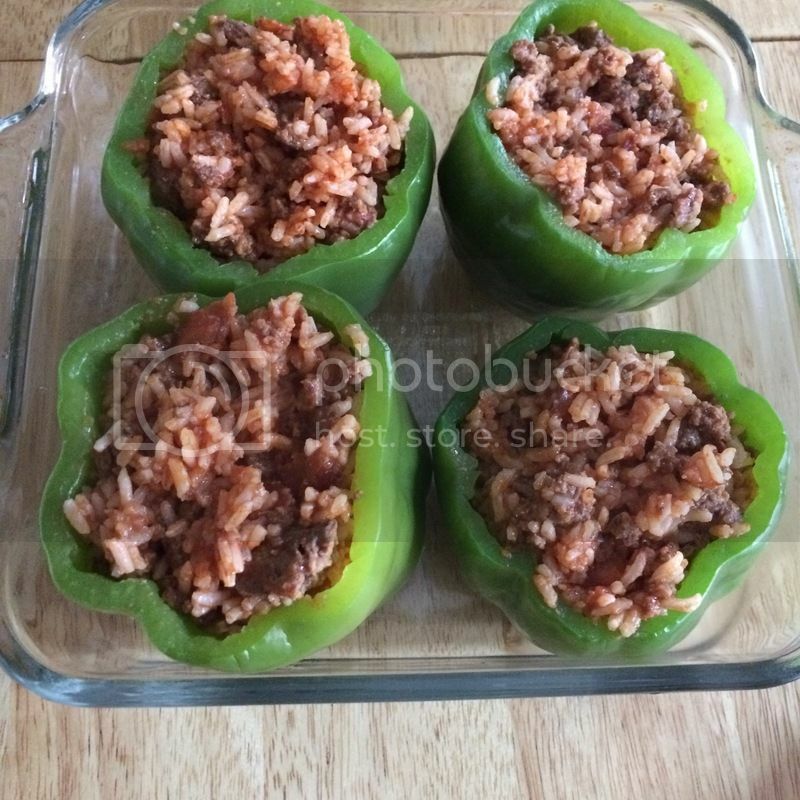 4) Stuff peppers with beef mixture. Stand peppers upright in ungreased 8-inch square glass baking dish. Pour remaining tomato sauce over peppers. 5) Cover tightly with foil. Bake 10 minutes. Uncover and bake about 15 minutes longer or until peppers are tender. Sprinkle with cheese.